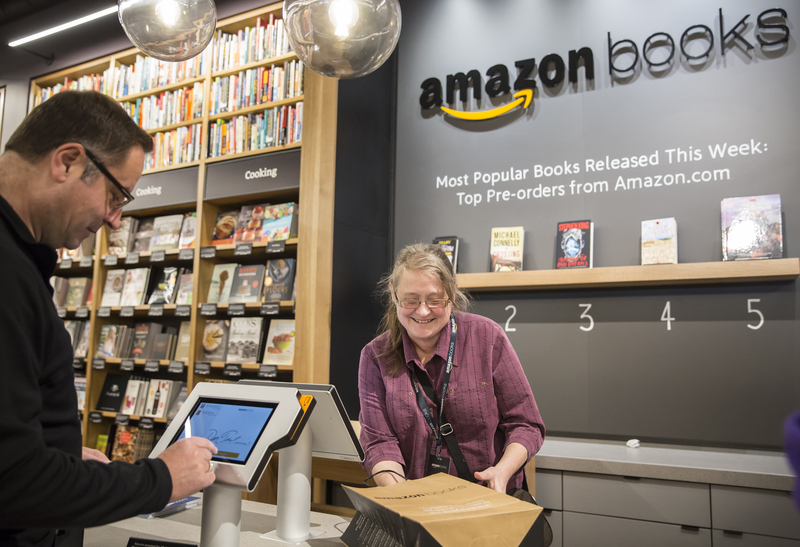 Fresh off the rumor mill: Is Amazon opening 400 physical bookstores? That’s what Sandeep Mathrani, CEO of mall operator General Growth Properties, seems to think. Mathrani dropped this bombshell during a conference call on Tuesday. “You’ve got Amazon opening brick-and-mortar bookstores and their goal is to open, as I understand, 300 to 400,” he said in response to a question about mall traffic. Which sounds like pretty big news — except that nobody’s quite sure where he got that figure. Has he got the insider scoop from Amazon themself? Or is he just misinformed? Physical bookstores may seem like a bit of a step back for the online giant — but there’s still a touch of the futuristic at play here. The books are impossibly cheap, priced the same as their online counterparts, and many titles are displayed alongside their online reviews. And while ordering from Amazon is convenient, nothing is quite as immediately satisfying as walking out of a store book in hand. Watch this space — bookstores may be the future.